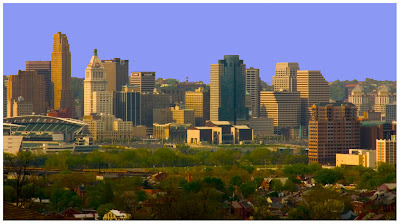 Cincinnati is definitely one of the most charitably giving cities I’ve lived. Maybe it’s because this is a community with strong religious ties, or the immigrant history of our town, but people here LOVE to give! Not all organizations are seeing a drop in funds, but the typical donor is being a little more savvy about where and who they want to donate. For some people, giving to large umbrella aid organizations makes them feel like they’re covering a lot of ground with their dollars. For others, they worry about the overhead taking some of the money away from trickling down to smaller organizations. There are so many options for organizations to donate to that it can be a little confusing. As a donor, do you want to go local or international with your charitable giving? Do you want to do a micro loan or give to an organization that screens candidates but may have overhead costs? Or do you just want to get together with friends and make a collective decision on where to donate your money? More and more charity organizations will be targeting “millennials” – YP’s who have expendable income and a sense of altruism, so if you fit that bill, get ready to be targeted! In all this talk about giving dollars, remember charitable giving isn’t only about money. A great way to really get to better know your community is by going out and doing work to make it better. After living Downtown for 2 years, I had never been in Washington Park until I did a park clean up one morning with Keep Cincinnati Beautiful. It is such a beautiful park, and seeing how mistreated it was by people in my community, it really reignited my desire to see it revitalized. No matter where you live, there are always opportunities to give in your community. You can literally get your hands dirty bettering the area around you and at the same time, get to know people in your community. In Cincinnati there are endless organizations that cater to different needs so there’s no reason to not find something that appeals to you! Below are some links to groups that can direct you to opportunities, national and international organizations that are working to help our community and beyond. I have also included a request for volunteers through the local library if you want to really start in your backyard and work with the kids in your neighborhood. The motto of my alma mater was “Lead, Learn, Serve” and these days they are words we could all live by. The Downtown Residents Council is seeking volunteers to assist with programs at the Children’s Learning Center at the Main Public Library. The Summer Arts programs are for kids ages 6-12. Please consider participating on one or more Wednesday evenings this month. Arrive at the Children’s Learning Center at 800 Vine Street at 6:45 p.m. for about 90 minutes. For more information, contact Carolyn Janssen at (513) 369-6922.